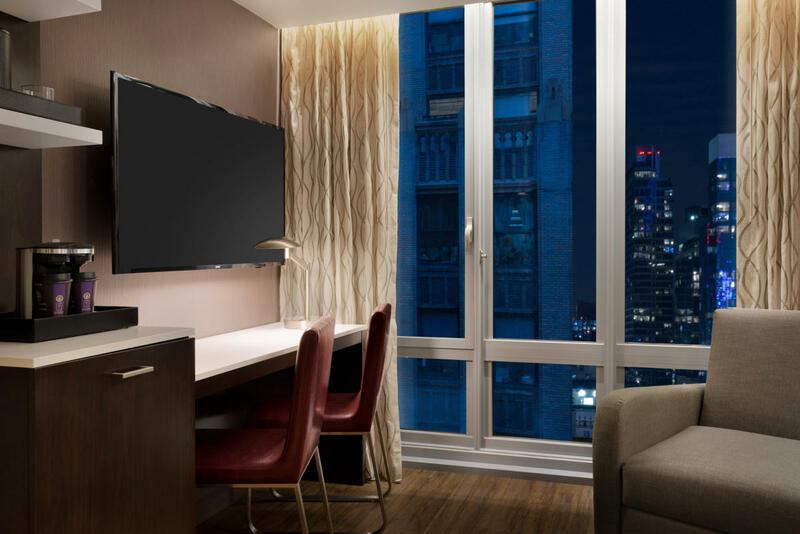 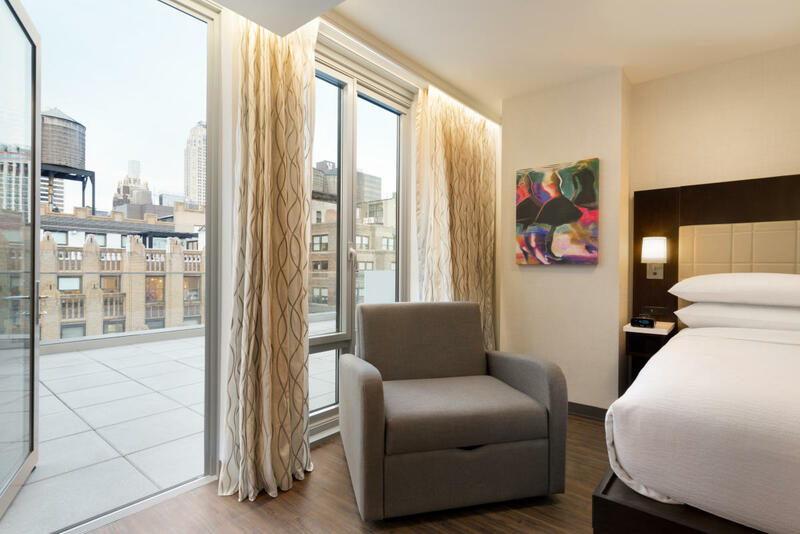 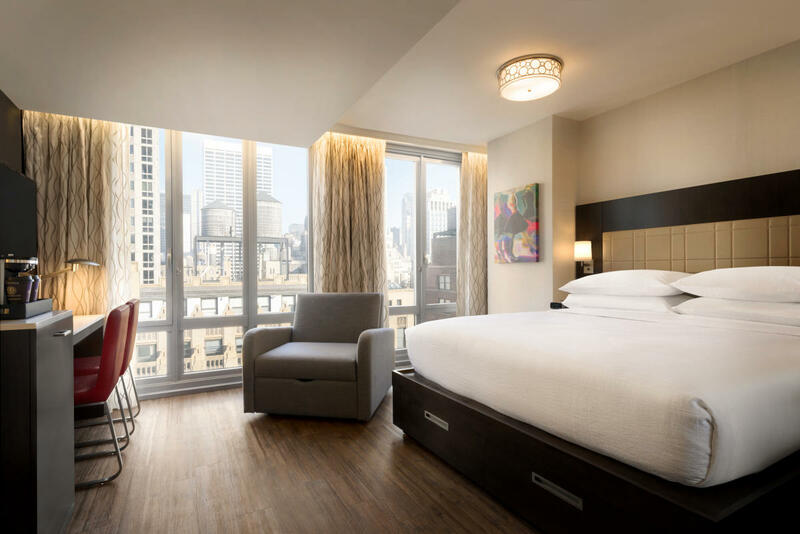 Embassy Suites by Hilton New York Midtown Manhattan offers 310 modernly appointed king rooms and one-room studios with king beds and a pullout sleeper sofa. 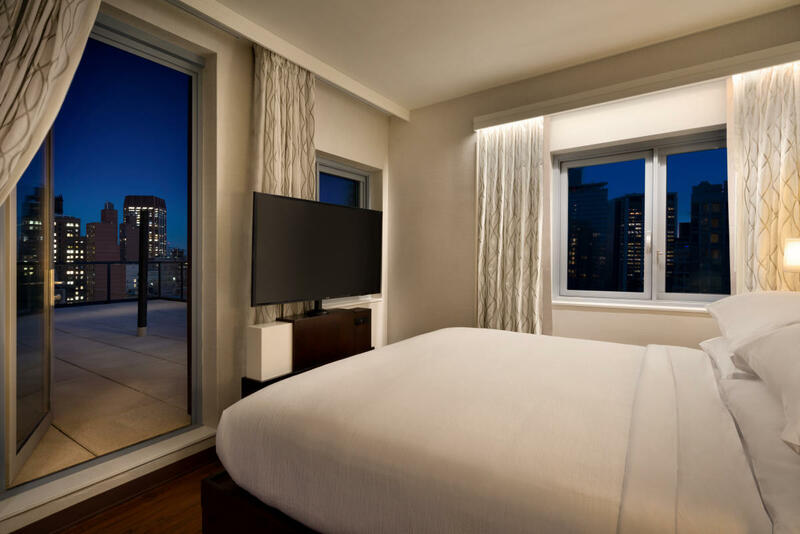 Select Sky Suites include outdoor terraces overlooking the Manhattan skyline. 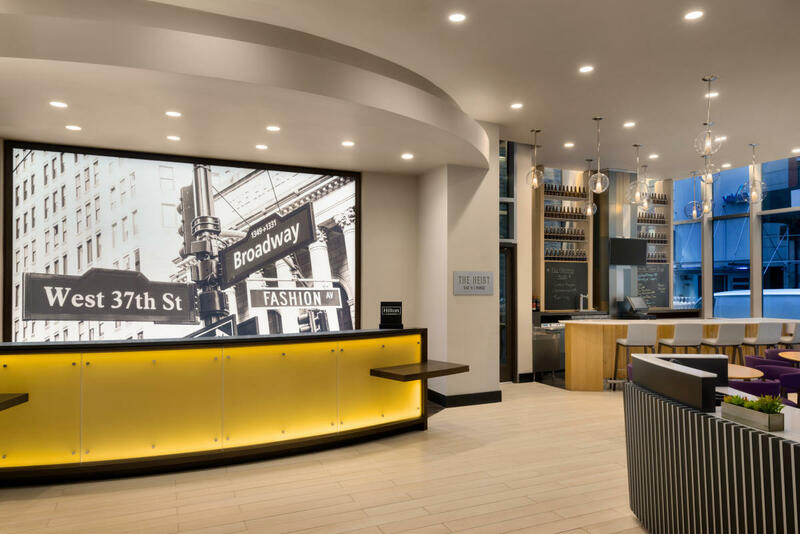 The Heist, an upscale lounge and bar aptly named for the nearby Diamond District, is an ideal place for an after work or pre-/post-theater cocktail. 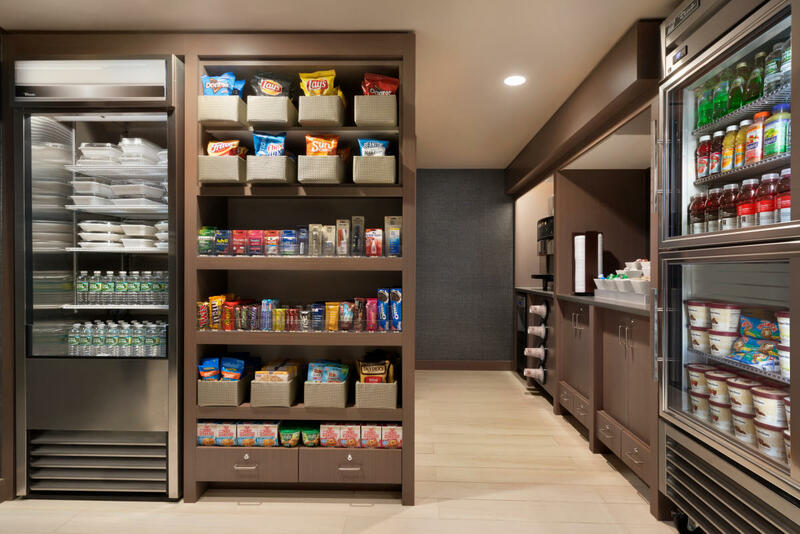 The SkyLawn Café serves light bites and refreshments throughout the day and opens to The SkyLawn, an outdoor social space located off the third floor featuring outdoor seating, chaise lounges and seasonal events.